When you create a chart with Scriptcase, you should not worry about the browsers and devices it will work on. 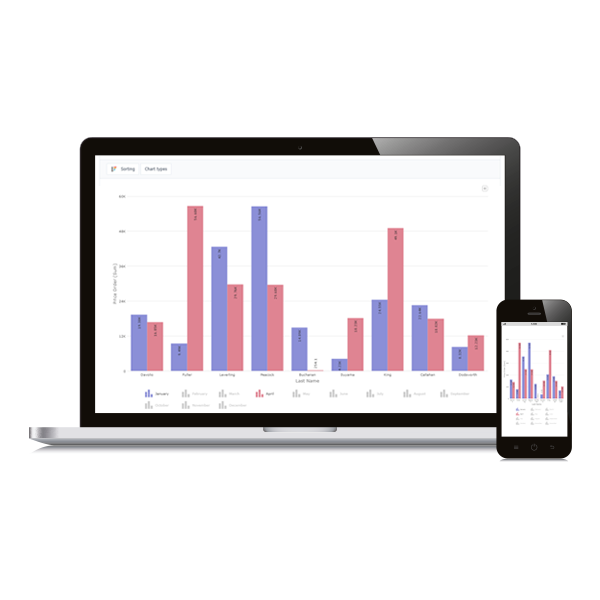 That's why we have made sure that our charts work seamlessly across PCs, Macs, iPhones, iPads, and Android devices. 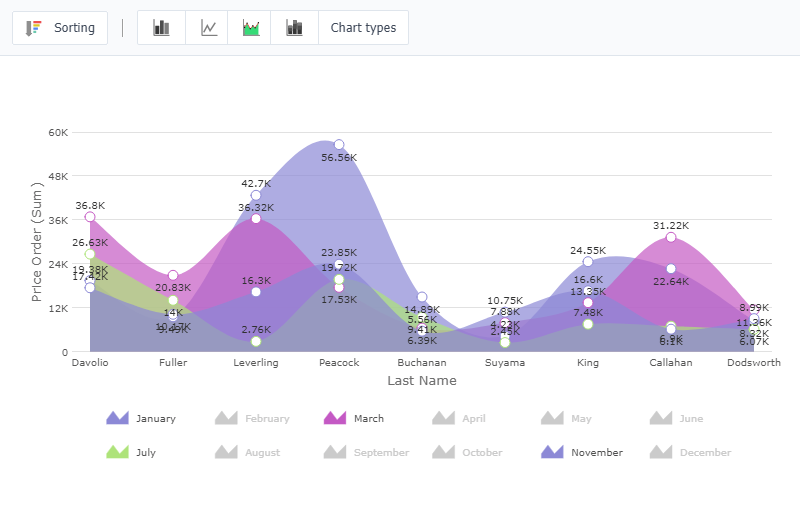 All the charts are responsive in order to deliver the same experience everywhere. 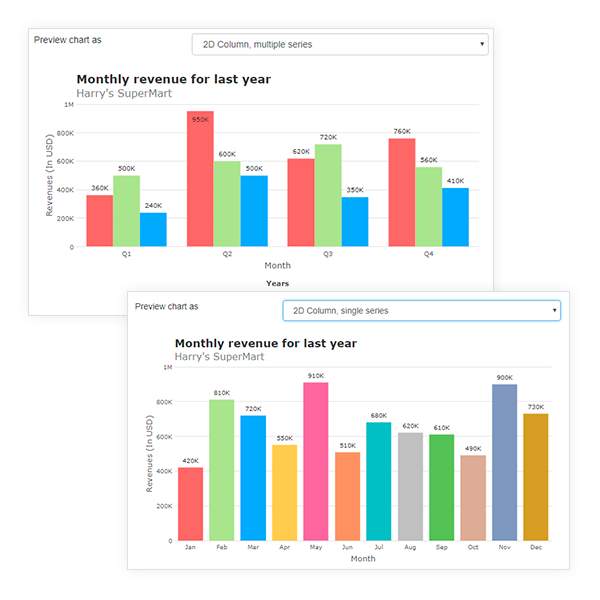 Scriptcase uses the FusionCharts library Internally for its charts creation. It’s already integrated within the source code with no additional cost to you. FusionCharts has over 23,000 customers and 500,000 users in 120 countries, including technology giants such as Apple, Google, ZOHO, Cisco, Facebook, Intel, LinkedIn, Microsoft, Hewlett-Packard, IBM, EMC, Nokia, Tibco, as well as The Weather Channel, NASA, and the Federal Government of the United States. 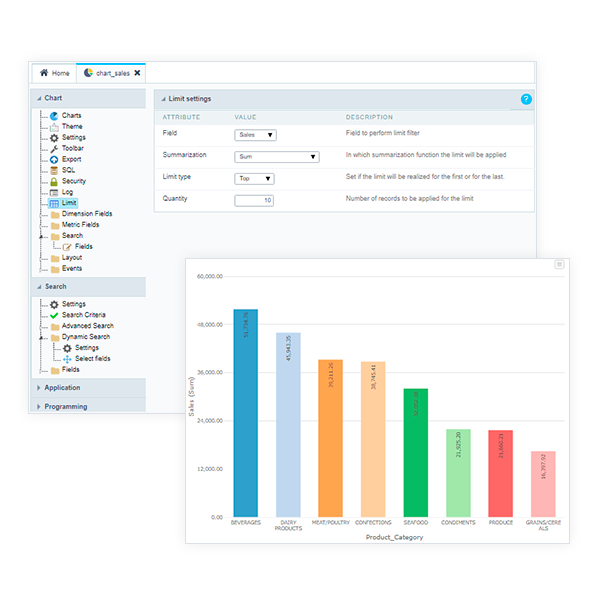 Graphical interface for themes customization, at a project level or individually within the application. Through the theme editor it is possible to customize the layout of Scriptcase generated graphics as background color, border, size, opacity, etc. It’s possible to combine analytical (multi-séries) and synthetic (Drill down) of different sizes on the same graph, and this can be changed at runtime by the end user of the system. 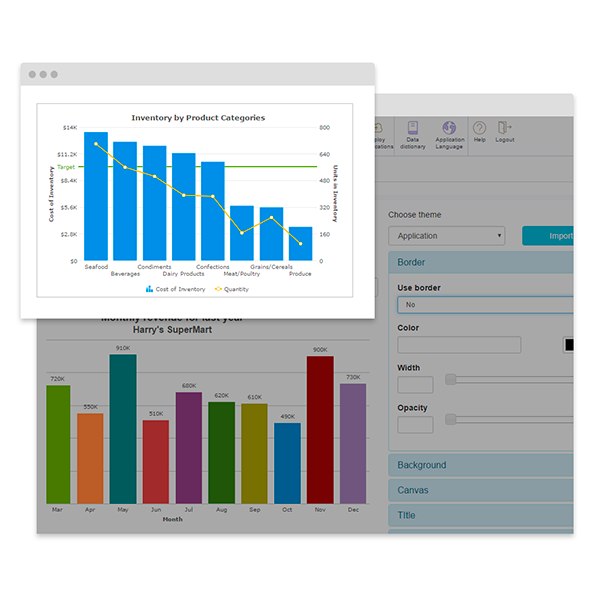 For date fields, the Chart applications offers different viewing options of periods in dimension, such as: Semester, Quarter, Trimester, Semester and others, that can be combined on the same chart for dynamic selection by the end user of the application. 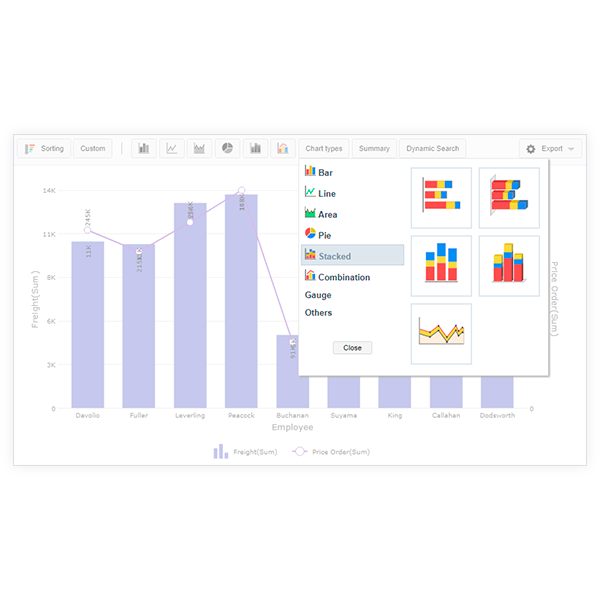 You can dynamically set different aggregate functions to graph metrics, including: Sum, maximum, minimum, average, Weighted Average, Count, Distinct count, variance and standard deviation. 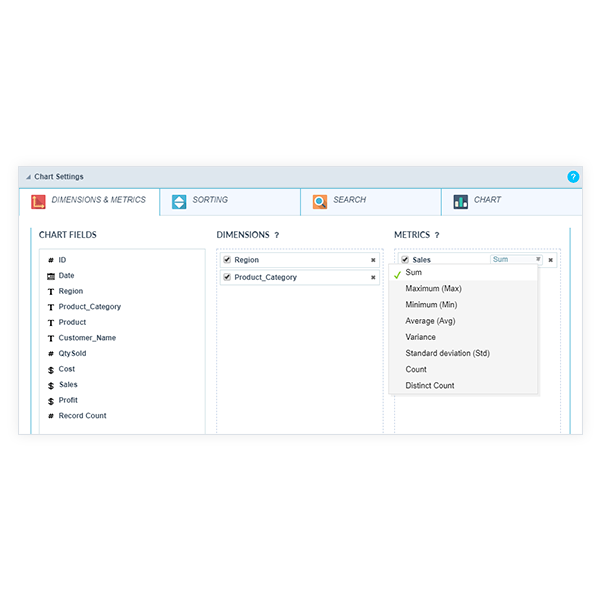 Advanced Search -Filter module which works integrated with the Chart to check for data view before the Chart display. It offers a range of search criteria and conditions according to the given type (equal, start with, does not contain, other than, greater than, less than, between values, empty, Null, different date periods, etc). 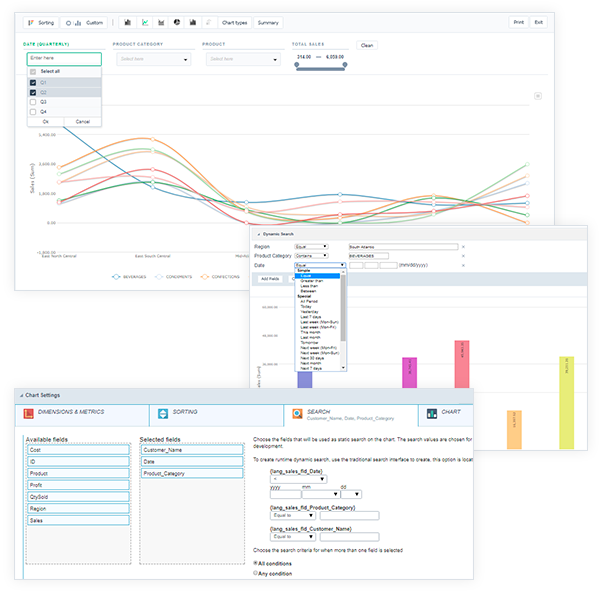 Dynamic Search - Filter for dynamic selection of conditions and fields directly within the generated application. With this filter the end user may choose fields and conditions at runtime. 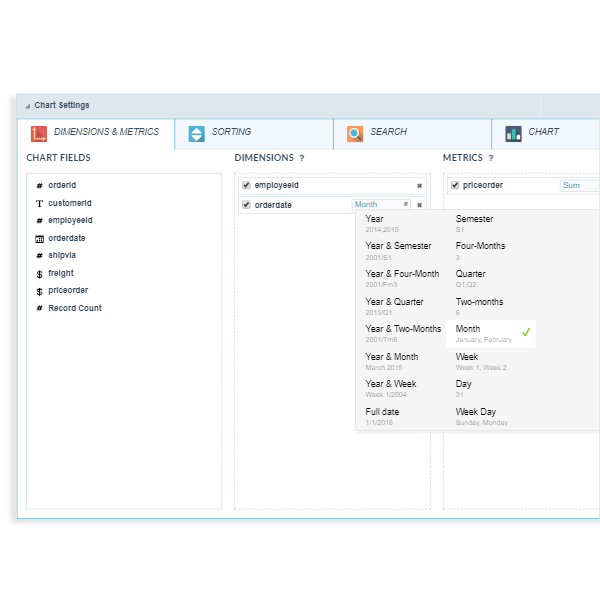 User Search - Dynamic filter for charts data. It filters the data dynamically within the generated graphs at runtime using ajax. 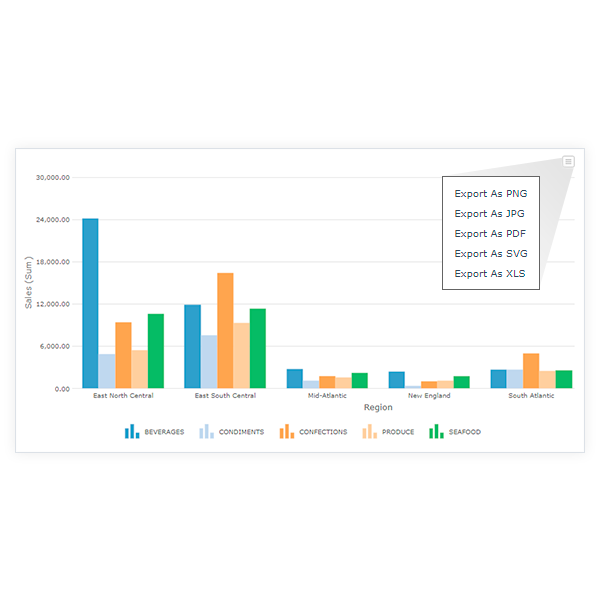 Easily apply a LIMIT function for the chart SQL that can be used to rank the values within the graphics. Create for example: graph with the 10 best customers, 10 cities that have sold less in 2016, etc.